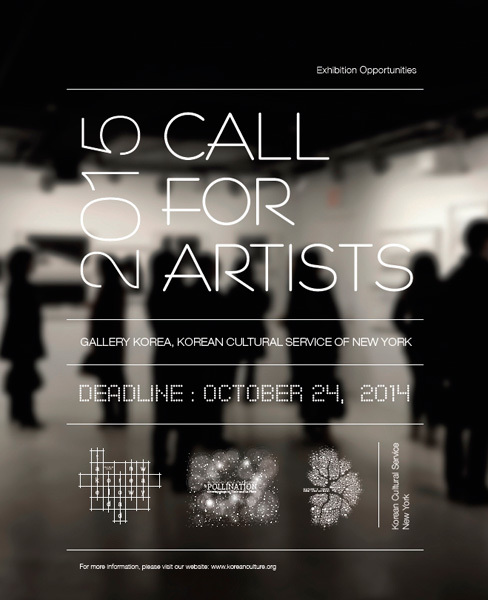 Apply to the Call for Artists 2015 from the Korean Cultural Service New York for a great opportunity to exhibit your work at the Gallery Korea next year! 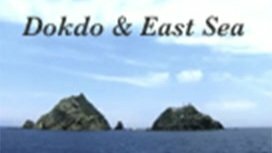 The Gallery Korea is a beautiful, versatile space located within the Korean Cultural Service New York; selected artists will be given a chance to display their works as a part of a group exhibition in 2015. Call for Artists 2015 is open to artists of all backgrounds, ages, and nationalities, and applications may be for individual or group artworks. We accept applications for all art forms including visual arts, sculptures, installations, and new media arts. When applying as a group, please include a brief explanation about the curation process you have taken and the theme of the artworks. All materials will be carefully reviewed by a jury of both Korea and US-based critics and curators. All applications are due October 24th, 2014 and the finalists will be announced in December, 2014. For questions regarding your application, please contact curator Heesung Cho at 212-759-9550 (ext. 204) or hyangaogao@koreanculture.org.